As I discussed in my last blog, for various reasons I don’t want to discuss my inner world in detail online. But the current moment, however, feels like the right time to at least publically acknowledge that, like so many others, I am affected by mental health issues. While I’m not a particular fan of Robin Williams, as someone who has struggled with depression and anxiety for as long as I can remember, I was sad to hear of the circumstances of his death. I have since found the public response to his suicide moving and, in a quiet way, hopeful. While, predictably, some mainstream reaction to the tragedy has been cruel and ignorant, blaming the man for his illness, other media outlets – The Guardian, Facebook, Twitter, writers’ blogs – have hosted compassionate and informed discussions about the nature of depression. This is a conversation that we need to have. Perhaps, like the current shift in global opinion on Israel, a tragedy may provoke a sea change in attitudes, bringing more sympathy and support to those who desperately need it. Mental illness is under-reported, under-funded, misunderstood and stigmatised. It is also highly complex and individual. While mental health conditions do involve brain chemistry imbalances, which may be genetic or physically triggered, the social environment also has a fundamental shaping influence on a person’s state of mind. Personally, while I believe I inherited insomnia and depressive tendencies from one of my parents, in my case traumatic early childhood experiences played a powerful role in rooting these distressing behavioral patterns deep in my psyche. In childhood and adolescence, also, I developed means of coping with my emotional pain: reading, writing, overachieving, rebelling, developing close intimacies, happily often with caring and generous souls, but also difficult relationships with other sufferers (and sometimes a mixture of the two). When those methods wear thin, I crash. Most often, behind closed doors. Over the years I have come to understand my condition better. Realising only recently that depression and anxiety are different ailments was a breakthrough. Both have a variety of treatments that work differently for different people. It has helped me most to learn not to fight the basic fact of my mental fragility: to accept that my sensitivity is part of who I am – in many ways, the best part – and to seek help when its shadow rises. I have been blessed with some wonderful friends I can turn to in need. There is only so hard you can lean on a friend, however, and ultimately one must take full responsibility for one’s own mental health. In the past I have found medication to be useful, and this year I have benefited from a return to counselling (which I first attended when I was sixteen). Especially now I have a somewhat higher profile as a writer (if not a blogger! ), I have also been considering the option of sharing my mental health status online. Due to the stigma and lack of understanding, shame and secrecy form a big part of the depression and anxiety mechanism, so in part I make this semi-disclosure to see if being more open about my condition helps me feel freer, or somehow dangerously exposed. As my last post also discussed, I am also interested in developing my understanding of the relationship between personal suffering and political struggle. Injustice, it is patently obvious, creates grief, anger, bitterness, uncertainty and murderous rage; in a fairer world people would suffer far less from physical and emotional violence against self and others. I myself have benefited in both the UK and Canada from free or lo-cost counselling, services that others have fought hard to make available to people on a low income. I feel, at the least, a duty to use what mental strength I have gained as a result to benefit others in some way. I have also taken to heart the Australian Aboriginal saying: ‘If you have come to help me, you are wasting your time. But if you have come because your liberation is bound up with mine, then let us work together.’ In the course of my political activities I have found friendship, joy, excitement, laughter, reassurance and huge inspiration. Though I respect people with strong opinions, and see the need for critical analysis, I have also been met with complete acceptance of who I am and what I have to offer. Though it is not always easy balancing organising with my other commitments, activism has been healing for me. Perhaps I will never be injured or jailed for my beliefs, but even if it is just in writing or conversation, I would like to better understand and support the mental and emotional health of those who do take those kind of courageous risks. And also to help make activism an attractive, safe space for those who do not wish to spend their entire lives fighting. The death of Robin Williams reminds us once again that talent, wealth and fame are no defense against despair – in fact, the harsh spotlight of celebrity may itself exacerbate the toxic shame that is so often a factor in suicide attempts. I cannot compare myself to Williams in that regard – I will never experience the velocity of public attention that was his lot – but being a person in her late forties who has spent decades encoding her personal trauma in metaphors and small press volumes, I can still find it excruciating to even contemplate revealing much of my inner self online. 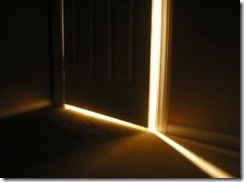 Still, I feel already that having opened the door to my psyche a crack today, some fresh air is blowing in. Thank you for reading – and to all those also affected by depression and anxiety, please be kind to yourselves, and may others be kind to you too. This entry was posted in Mental Health, Politics and tagged Activism, Anxiety, Depression, Robin Williams. Bookmark the permalink. Thanks for this, Naomi. More of your shine through honesty. We have a MIND poster in our house which shows many different people experiencing emotions from fear to sorrow, anger or joy or hope. It says: ‘Anyone can experience mental distress. No one needs the stigma to go with it.’ Personally I find having to keep a lid on stuff the most agonising of it all. You’re right about kindness to ourselves and each other. Naomi, thank you for sharing. My sense is the fragility in all of us is our treasure. The source of our humanity, creativity, compassion. And kindness is a gift we need, all of us, to give ourselves and one another. We provides homeopathic treatment for anxiety depression in chandigarh India. Thank you so much for the kind words, and its wonderful to hear about your hospital. Friends of mine have had very good results with homeopathy. I confess that I always find it difficult not to drink coffee!